LED makers have been announcing their progress of Mini LED before reaching the final goal, Micro LED. Manufacturers in Taiwan and China started to ship Mini LED products from the second half of 2018. 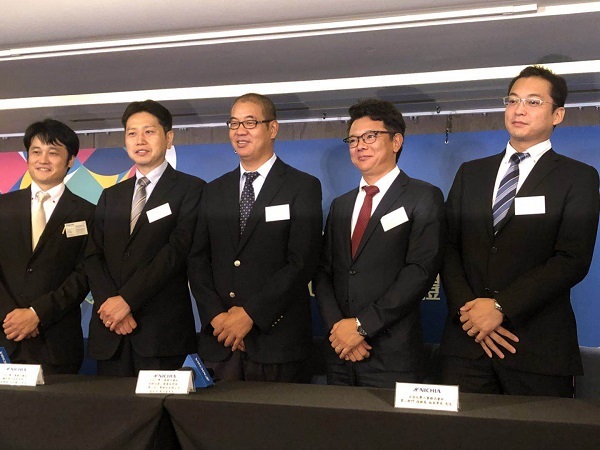 Nichia, the Japanese LED giant, also reported that it has completed the development process of Mini LED and is ready to mass produce related products that will be released by the end of the year. Nichia revealed its manufacturing force of Mini LED and disclosed that the company has materialized the producing process with the end product confirmed. Currently Nichia is delivering samples with backlight application to its client and preparing to release the product in Q4. As for Micro LED, Nichia said the development is still an on-going process. According to the company, to produce a Micro LED sample is possible, but it will still take time for commercial manufacturing. With chips and transfer technology in progress, Nichia estimates that Micro LED production will be scheduled in 2022. 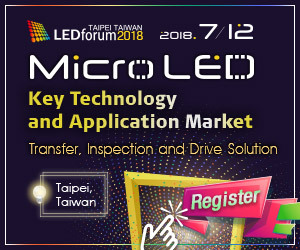 LEDinside will be hosting Micro LEDforum on 12th July, 2018 to discuss current development of Micro LED as well as the market trend and technology breakthroughs. Register now to grasp the great opportunity to learn more about the next generation display technology!